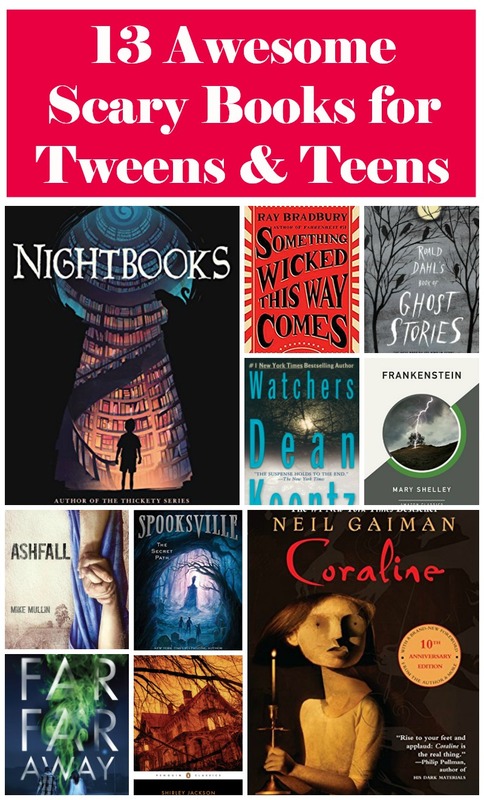 With Halloween approaching, I thought it would be fun to round up some of the best horror books for tweens. Thirteen,to be exact, because some would call it a spooky number. I hope you love my picks as much as I did! I loved reading scary books when I was in middle school, which is kind of funny because I couldn’t even be in the same hemisphere when a horror movie was playing back then! I would hide in my room with the blankets over my head and headphones on my ears whenever my family watched movies like Poltergeist and what not! With books, though, the scarier the better! *Heads up, this post contains affiliate links. 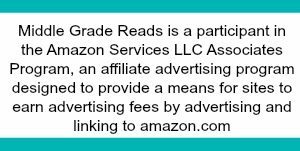 That means that if you make a purchase through these links, I earn a tiny commission at no extra charge to you. It’s no secret that I’m a huge fan of Gaiman. Just take a peek at any of the other lists on this site and you’ll see his name at least once! While The Graveyard Book usually makes the “horror for tweens” lists, I thought Coraline was a lot freakier. My son couldn’t even look at the cover without having nightmares. Coraline is about a little girl who steps through a door and finds a home just like hers…except better! Or so she thinks. Turns out, there really is no place like home and the people who live on the greener grass on the other side are really quite creepy! If you ask people to pick a Ray Bradbury story to read during Halloween, most would say The Halloween Tree . I, on the other hand, find Something Wicked This Way Comes to be one of the scariest books ever. Maybe it’s my odd fear of carnivals, maybe it’s just the spooky atmosphere, but both the book and the movie freaked me out as a kid. Cooger & Dark’s Pandemonium Shadow Show rolls into town, granting the wishes of the townspeople at a great and sinister cost. Here’s the big question: what would you give up to become younger again? To become older? To see a lost love? I’m betting it’s not the price demanding by the creepy carnival master! I think R.L. Stine was the first “horror writer” that I ever read back when I was younger. His books are still going strong, and still a great starting place for tweens just getting into scary stories. While the Goosebumps series is probably the most popular, the Fear Street Series is a bit more sophisticated and appropriate for older kids. The series begins with The New Girl, a story about one boy’s obsession with the pretty new girl in school. When she vanishes, he has to head to Fear Street to find out what happened…and that just may be the death of him! I had such a hard time choosing a Christopher Pike book for this list, but Spooksville just feels like the best fit. I read nearly every Pike book in middle school and they were all great, but I think this one came out relatively recently. Adam moves to a small town called Springville, but quickly finds out from Sally that it’s secretly called Spooksville because of all the bizarre things that happen in it. Adam doesn’t believe Sally until he ends up on the other side of a dark doorway, and in a place where spooky is an understatement! All of John Saul’s books are about horrible things happening to kids, or perpetuated by kids. I read them when I was 9-12, and part of the reason they scared me so much was the fact kids were at the center of every novel. Darkness is about an evil town and a family (with a teen girl) that moves back to it after some time away. The town feeds on the innocent…and they want the Anderson’s daughter! A word of advice: Saul’s books are true horror novels, and best only for tweens and teens that already know that they enjoy scary books. He’s definitely not a “starter thriller” kind of guy! Koontz used to be my favorite author ever up until about a decade ago, and I still love all his old books (pretty much anything before Odd Thomas). Watchers was the first book I read by him, and it remains one of my favorites. Everything about this book is just spectacular. Short version: It’s about a guy who goes on a hike, meets an insanely smart dog, discovers a very dark secret, and ends up being hunted by a killer being called The Outsider. The dog, a Golden Retriever named Einstein, is what makes the book so fabulous. Ashfall , by Mike Mullin, is the first book in a series. It’s not exactly traditional horror, because there are no ghosts, zombies, or other things that go bump in the night, but it’s still one of the scariest books I’ve read because of the “what if?” factor. In case you didn’t know this, there is a massive volcano beneath Yellowstone National Park. While scientists say that it is incredibly unlikely that this volcano will blow in our lifetime, if it did the effects could be devastating. There are actually a lot of potential outcomes, but for Ashfall, Mike Mullin chose to go with the absolute worst case scenario. The story follows Alex, a teen boy who was alone in his Iowa home when the eruption happened. Even though he’s hundreds of miles away, his home is still destroyed and his town is blanketed in falling ash. His family is two hours away in Illinois, so Alex sets out on a treacherous adventure to find them. The Haunting of Hill House may be an old book, but it’s still one of the creepiest stories I’ve ever read! Four people, each with their own reason, head to the creepy Hill House in search of the truth behind the notoriously “unfriendly” home. At first, they experience a few unexplained (but mild) bumps in the night, creepy moments that really don’t add up to much. Hill House is just warming up, though, and has MUCH more in store for our protagonists. Soon, one of the four will belong to the house! I think every horror fan should read Frankenstein at least once. Everyone knows the general story, but there’s no substitute for reading about Dr. Frankenstein and his monster the way Mary Shelley intended. There’s a fun story behind the story. Mary Shelley, her husband Percy Shelley, Lord Byron, and John Polidori were stuck inside on a stormy night at the lake house that they visited together. After reading ghost stories out loud, Byron challenged everyone to come up with their own. It was during this time that Percy created “Prometheus Unbound ,” although it wouldn’t be published until a few years later. Byron didn’t really create anything memorable. Polidori wrote The Vampyre , which is credited as the “first modern vampire story.” Shelley, though, created a masterpiece in Frankenstein. Some might argue that Stephen King isn’t exactly tween and teen appropriate, but I disagree. While some of his books, like Gerald’s Game , are definitely more for adults, plenty of his stories are perfect for younger horror fans. It really depends on how much horror they can take! I spent a lot of time trying to decide which King book would be best for, say, a 13-year old, and finally settled on Salem’s Lot . The story is about a writer who returns to his home town in the hopes that he’ll find inspiration for his next book within the walls of the spooky Marsten House. He quickly discovers that his entire hometown is under siege from creatures of the night…and these vamps definitely don’t sparkle! 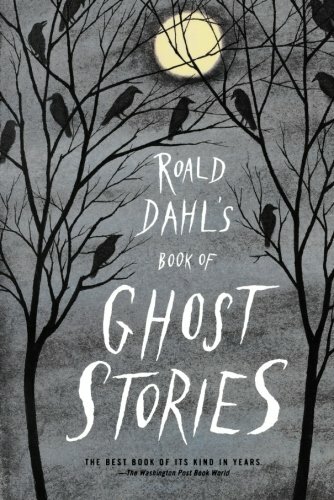 While most people think of Roald Dahl as a children’s book author (albeit slightly twisted children’s stories, like James and the Giant Peach, Matilda, and The Witches), he was also a huge fan of the traditional ghost story. After reading hundreds of tales, he gathered together 14 of his favorites in the aptly named Roald Dahl’s Book of Ghost Stories . 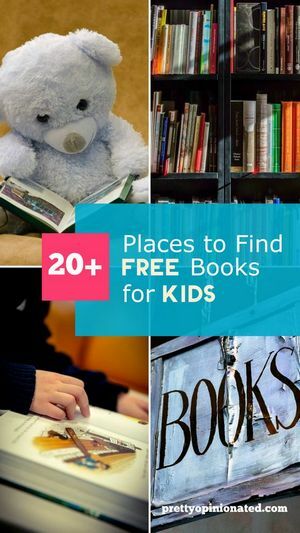 A lot of the stories are older, giving tweens and teens a great introduction and overview to the genre throughout the ages. The authors range from well-known (like Le Fanu, author of Camilla), while others may not be on your radar. I’m willing to bet that the stories and authors are all new to your teen, though. One of the few books on this list that I haven’t read, Nightbooks by JA White comes highly recommended by a friend who loves YA horror. It’s kind of like Arabian Nights (which is actually called One Thousand and One Nights), except with scary stories. Basically, a boy named Alex get imprisoned by a witch. To stay alive, he has to regale her with a new terrifying tale each night. The neat thing about this book is that, while coming up with scary stories, Alex imparts plenty of wisdom for wanna-be writers, including tips on overcoming writer’s block and how to come up with good plot twists. Far Far Away is a fabulous book for fans of twisted fairy tales. Jeremy Johnson Johnson(not a typo) is used to hearing the voice of the ghost of Jacob Grimm. For the most part, it doesn’t really bother him because Jacob is watching over him and trying to protect him. Unfortunately, he can’t protect him from everything. When the pretty Ginger takes a bite out of a cake, she falls madly in love with Jeremy. You’d think that’s a good thing, but magic always comes with a price! I tried to include a mix of old and new, super scary and just sort of spooky so that every tween and teen can find something that they love! Let me know if you can think of any other great horror books that are relatively age-appropriate!